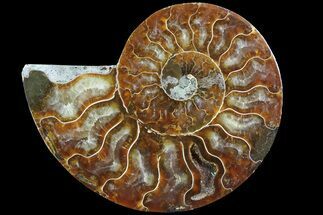 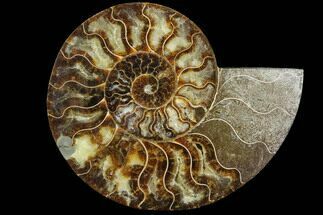 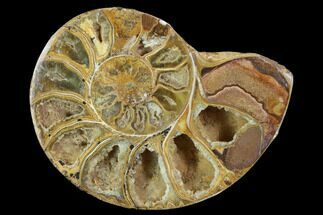 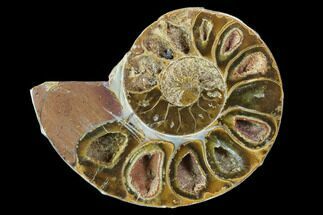 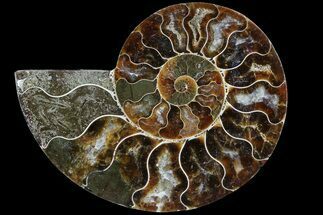 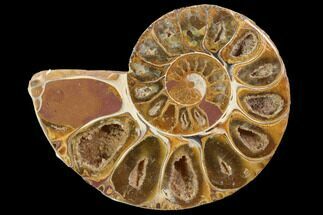 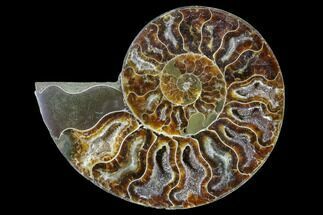 Here is an exquisite cut and polished Cleoniceras ammonite fossil from the Cretaceous of Madagascar. 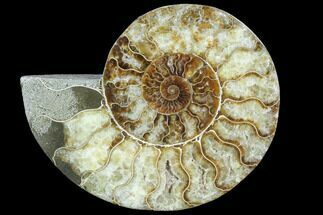 It exhibits gorgeous mineralization within the chambers, each separated by white calcite septa (divisions). 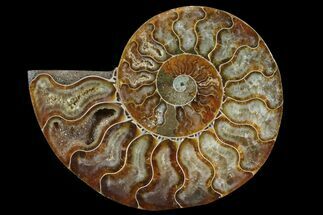 The reverse side has a very beautiful, mother of pearl look to it. 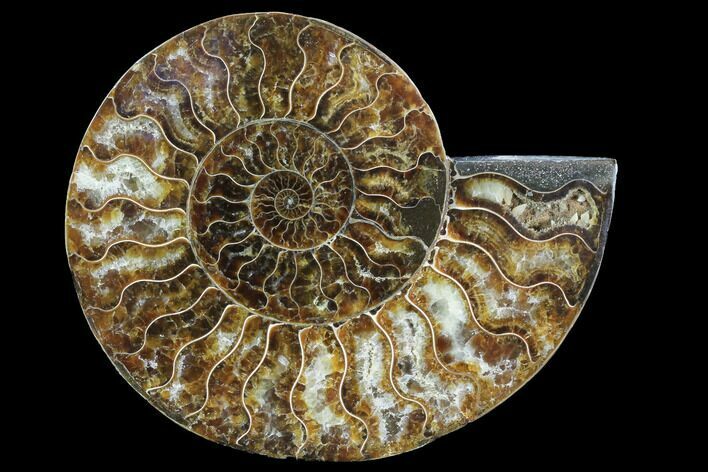 This highly polished, exotic ammonite makes a superb display piece with tremendous historical appeal.